Mitsubishi is one of the strongest automakers present on the Philippines soil. This Japanese manufacturer has a wide alluring aura to itself that only is way shorter than that of the mighty Toyota. As a matter of fact, Mitsubishi Philippines over the years have constantly maintained number two position on the sales chart, impressive, we must say. But Mitsubishi has been long striving to break this second spot monotony, by the way of introducing some strong players like mu-X , D-MAX, Mirage and how can we forget the dynamic Adventure. Also, Mitsubishi is now and again seen coming up with some great and attractive promos, another way to attract customers to its doors. Talking about Mitsubishi Adventure, we'll like to share some interesting facts about this hulk-like compact MUV. 2. The car is designed by Mitsubishi Motors in collaboration with China Motor Corporation. 3. 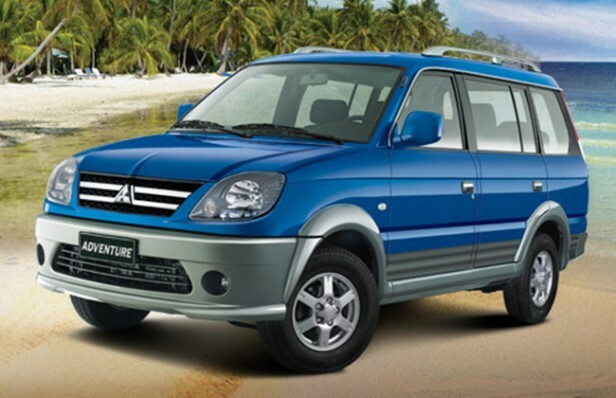 The 50,000th unit of Adventure was manufactured at Mitsubishi’s Philippines plant. 4. In its entire lifespan, Adventure has undergone two major (2001 & 2004) and one minor facelift (2009). 5. Recently, in May 2016, MMPC (Mitsubishi Motors Philippines Corporation) plant rolled off the 600,000th unit of Adventure from their Sta. Rosa plant. As said before Mitsubishi Adventure looks no less than a hulk and supporting this fact are present its bold and fearless design language. The car is offered in five trim levels in the Philippines market - TX, GX, GLX, GLS SPORT and SUPER SPORT, all of which slightly vary from one another. Like for example, TX and GX variants are embedded with features like black radiator, black tail lamp garnish, black ORVM, multi-reflector halogen headlamp, pillar mounted antenna and swing-type rear door. 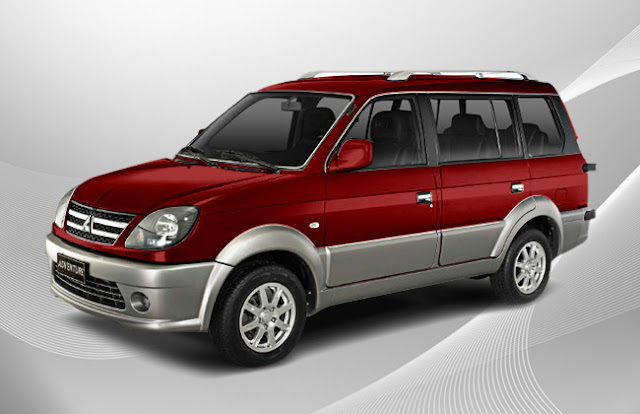 On the other hand, all the other trims are blessed with less rugged and softer features like chrome radiator grille, smoked multi-reflector halogen headlamp with turn indicators, 14-inch alloy wheels, ORVM with LED turn signal lamp, roof rail, 3D body side graphics, and licence plate garnish with chrome inserts. Adventure is a car in which you go off-roading and it is thus is equipped with all the basic amenities required for this purpose. On to the driver's arena on can find white-lit metre cluster with silver accents, and four-spoke multifunction steering wheel with silver accents and leather coverage. On to the centre console is present a 6.2-inch LCD monitor Monitor with touch screen interface, manual air-con system and spacious glove box with Adventure badging. Other cabin comforting features include 2nd-row arm-rest, bucket leather(ADVENTURE SPORT) and fabric seat (GLX, GLS SPORT). Mitsubishi Adventure offers ample amount of storage options. The car is fitted with storage compartments like cup holders, glove box, and centre armrest with cup holders. Also, it’s blessed with a big trunk, whose capacity can be further extended by folding its rear seat (50:50 ratio). Under its strong hood is present a 2.5L 4 in-line diesel mill that is efficient enough to give away a maximum output of 75 PS @ 4200 rpm along with peak torque of 149 Nm @ 2500 rpm. The said mill is coupled with a 5-speed manual gearbox that distributes power to all four wheels. This is one area where Mitsubishi Adventure lacks and needs a major improvement. In the name of safety is present meagre options like 2 x 3 point ELR seatbelt (front), 3 X 2 point (2nd row), side impact beams, child proof lock and laminated Green Windshield. Adventure is further equipped with independent double wishbone front and semi-elliptic leaf spring rear suspension. It is always interesting to know about the historical background of a vehicle which we do not get to read about on a daily basis. Often, we only view vehicles from a transportation point of view but there is actually a hidden fascinating story behind it all where it all began.